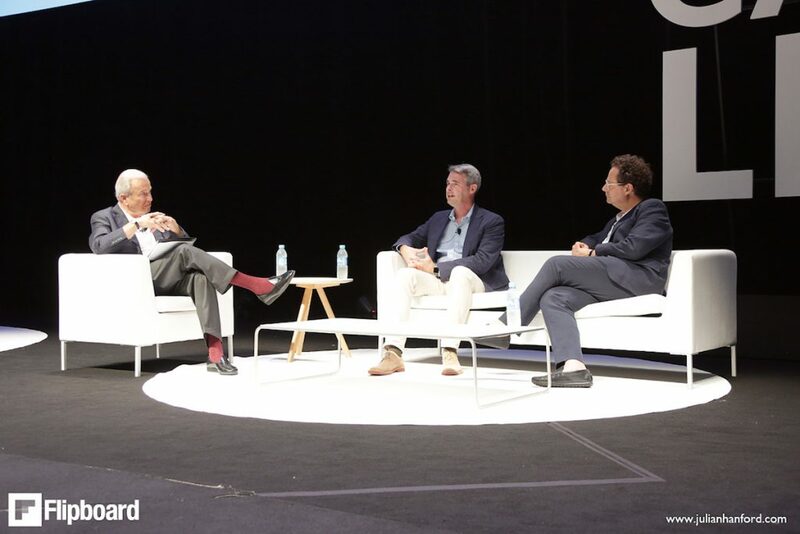 Flipboard CEO Mike McCue and Whitney Museum Director Adam D. Weinberg took to the Cannes Lions festival stage last week for a conversation moderated by renowned author and New Yorker journalist Ken Auletta. With Auletta’s guidance, the two men found common ground that surprised the 24-year New Yorker veteran. 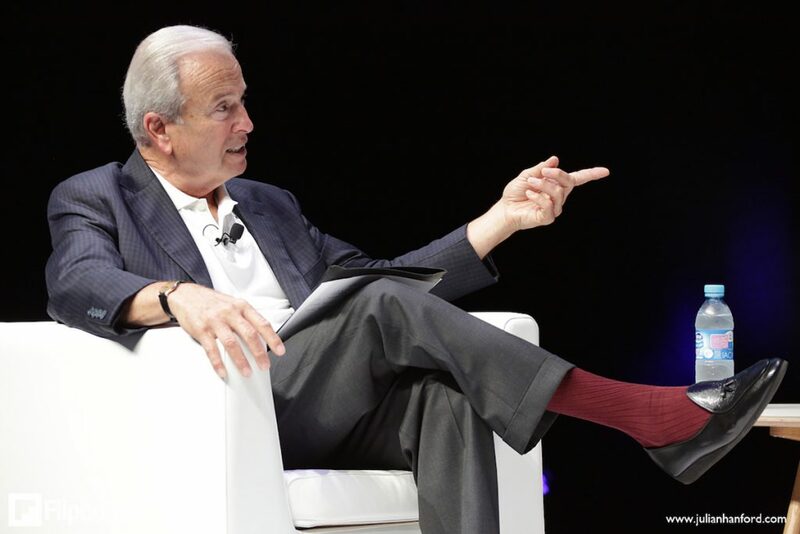 “I think members of the audience who sat there listening to them might have been as surprised as I was that they ended up so close in their definition of what their goals were,” Auletta said about their discussion of curation. We spoke to Auletta about his biggest takeaways from the discussion, what he considers before moderating and why listening is a centerpiece of good journalism. 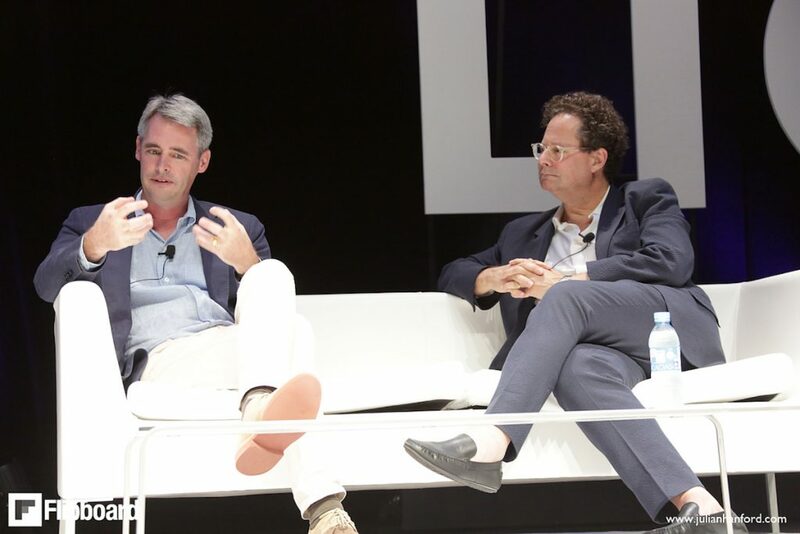 What’s the headline you’d write out of the Cannes Lions panel? What was stunning about the discussion is that by the end they essentially agreed that their job was to make their best judgments about the best quality art or quality writing that they would curate. Even though one [Director of the Whitney Museum Adam D. Weinberg] is picking art that is often controversial and certainly new and therefore jarring at times to a visitor to the Whitney Museum, and the other [Flipboard CEO and co-founder Mike McCue] is picking a range of articles and writing, which may not be as jarring—they essentially agreed that they make choices. They agreed that they’re pushing the boundaries sometimes, that they’re substituting their judgments for Facebook likes or Google algorithms and making judgments about what they think is best. And that was kind of startling to listen to the two of them. These two guys who’ve been very successful had a basic humility and a willingness to listen. And as they listened to each other speak, I think they came more and more, as I did, to understand how similar they were in what they did, even though they’re in totally different professions. They’re both curators or they do curating. What do you see as the value of curation and did that change through the discussion you had on stage? The value is that someone with good judgment—be it an art director or the creator and CEO of Flipboard—is making those choices. They’re saying that their judgment decides what to exhibit and what to prominently display versus less prominently, or what the lead article is on Flipboard. At one point, I asked Adam, “What would you say to someone who accused you of being an elitist, of substituting your judgment for the populace?” He said, “I would plead guilty.” And I think he’s right. He’s basically saying he’s trained to make judgments and that’s what he was doing. I think Mike is the same way. That’s what an editor does. An editor decides what’s on the front page or not. At another point, I told the story of an interview I had done in probably 1995 before the American Society of Newspaper Editors with Andy Grove, who was one of the founders of Intel and at the time was CEO of Intel. These were the early days of the internet. I said Mr. Grove, “What is the future value of these editors [there were thousands in the room]?” He looked out at the audience and he said, “Zero. I don’t need them—I could use the Internet to create my own newspaper. If I’m interested in health or business or sports, I can have that all pushed to me.” I’m telling this story on the panel. So four years later I’m interviewing Andy Grove at the World Economic Forum in Davos. I quoted what he had said then I said, “Mr. Grove, do you still agree with what you said?” He said, “I don’t. I was totally wrong.” I said, “Why?” He said, “Because I didn’t understand the importance of serendipity—that there would be news events that I would need to know about, and there was so much information on the internet that I basically needed a curator. I needed an editor to tell me what was important. Otherwise, I would have missed what happened in Rwanda, I would have missed what happened in Serbia.” What he was basically doing was affirming the importance of curation, which is what I think the panel discussion did, between Mike and Adam. Do you think technology resurrected the role of editors? Yes and no. You could argue that an algorithm actually diminishes the role of editors, or that aggregation, which algorithms leads to, diminishes the role of editors. On the other hand, Flipboard enhances the value of editors. So there are places, there are news sites, where aggregation is king. I think in those cases often, not always, but often technology diminishes the role of the editor. But if you go to The Washington Post website, The New York Times website, you go to Flipboard, the editor is basically telling you what he or she thinks is most vital or important. That’s what a front page is. A front page is a curator or an editor saying we think this is the most important event of the day. How does your preparation for a panel differ from an interview for a piece or book? What other things do you weigh? When you’re doing an interview, it’s one-on-one. A panel is not one-on-one. It’s one-on-two or one-on-three or four. So one of the things you have to do is you have to plot out the subjects you want to cover. What is the natural flow between them? You don’t want to talk about the past and suddenly talk about the future, skipping over the present. So you want to figure out some kind of organic structure for the interview. I don’t mean a script; I mean talking points in your head of areas you want to cover. The other thing that’s different about…interviewing multiple people on a panel is you want to try to figure out how to get all of them involved and not just dominate one person with questions. So you think if I’m asking Mike this question, what is the question I’m asking Adam? And can Mike answer the same question, or do I have to ask a different question of one or the other? That’s what you’re thinking. A lot of that is listening. Have you always been a good listener? How important is that in question asking? One of the things they both said in the conversation is the importance of listening. The word “authenticity” comes up a lot in conversation. And I think authenticity is another word for listening, being natural so that you hear the other person and then you can have a conversation based on what that other person has said. I don’t think you can be a good reporter if you’re not a good listener because the presumption when you’re a listener is that you don’t know the answers, that’s why you’re asking questions. And if you don’t know the answers, you want to know the answers from someone else. Listening is really important. Having covered a number of leaders in tech and business. Are there characteristics that unite them? Or reasons you find them particularly interesting? I don’t think there’s any one quality that runs through, like a melody through each of these people. I think they’re all different people. There are some characteristics that are probably shared. One is there’s a certain amount of vanity. You don’t start a company or run a company without a basic belief in your ability to do it, to take risks. And then when you succeed, to have a certain pride in your success. So that is often a common characteristic, though I have encountered CEOs I’ve interviewed or people in powerful positions who are insecure. Vanity is a natural outgrowth of pride and feeling like you succeeded. The other thing I find common is that many CEO types or entrepreneurs are often wary of the press when they’re a success. They’re wary in part because they’re worried about gotcha, that the press is going to play a game of gotcha with them. Or they’re wary because they’re afraid they’ll say something stupid. But oftentimes people want to talk about their successes and what they’ve done. If they feel you’re really intent on listening to them and you’ll give them a fair hearing, even though they may not like everything you report or write, I find people surprisingly willing to talk. When I think about some of the people I’ve written profiles about, I mean Ted Turner and Rupert Murdoch. They’re so different in so many ways, yet there are similarities. They’re both risk takers, they’re both men with large appetites and large egos and a willingness to be outspoken. Turner from more of a left-wing perspective and Murdoch from more of a right-wing perspective. So their politics may be different, but they have certain characteristics that are the same. The way they make decisions are very different. John Malone, once the most powerful man in cable kingdom, was a computer for a brain. Bill Gates has a computer for a brain. Ted Turner and Rupert Murdoch make instinctive decisions and are less analytical than them. All of these people are very different and yet there are similarities. You’ve covered disruption in many different industries. Where does your interest in disruption stem from? My interest in disruption was heightened by my beat for the New Yorker, Annals of Communications. One can’t cover the media and communications without being acutely aware of how the digital revolution impacts all media. But my interest also predates Annals of Communications. For example, I spent almost six years, from 1985 to 1991, working on a book, Three Blind Mice, which chronicled how the three networks were being disrupted by a new technology—cable. Any storyteller seeks drama, and disruption is alive with drama. And to disrupt often requires the invention of new tools, which carry their own drama, and a battle between old and new. Read more from Auletta in The New Yorker on Flipboard and about the Flipboard team’s trip to Cannes Lions.